FamilyTreeDNA.com founder Bennett Greenspan will speak on the new genetic genealogy test at the next meeting of the Jewish Genealogical Society of Washington State on Monday, May 10. It begins at 7.30pm in the Stroum JCC Auditorium on Mercer Island. Doors open at 7pm, the JSWS library will be available, along with Wi-Fi. Many genealogists have been using genetic genealogy, and specifically FamilyTreeDNA.com, to learn more about their ancestors and find relatives using Y-DNA for paternal lines and mtDNA for maternal lines. The tests have been essential tools in exploring recent and early Jewish roots, including links among Ashkenazim and Sephardim (such as in the IberianAshkenaz DNA Project, co-administered by Judy Simon and myself). Now there’s a new test that uses autosomal chromosomes to look for close relationships along all ancestral lines, and can find links between male and female cousins across all family lines for the past five generations. Bennett will explain the new test in detail and provide exciting examples of new matches. He will also discuss the nuances of Y-DNA and mtDNA testing. Born and raised in Omaha, Nebraska, Bennett is the founder/CEO of FamilyTreeDNA.com. He spent years investigating his maternal grandfather’s ancestors – an obsession that turned into a full-time vocation and led him to become a founder of the growing field now known as genetic genealogy. FamilyTreeDNA and other cooperative ventures, including the National Geographic Society’s Genographic Project and AfricanDNA.com, now comprise the largest non-medical DNA testing program in the world. Fee: JGSWS members, free; others, $5. For more information, click here. Two Sephardic presentations (covering history, genealogy and DNA) are on the program of the Jewish Genealogical Society of Greater Boston on Sunday, April 25. The program begins at 1:30 pm, at Temple Emanuel, Newton Centre, with Brandeis Professor Jonathan Decter, and Tracing the Tribe’s good friend Dr. Dan Laby of Harvard University Medical School. In “Sephardic Jewry after the Expulsion from Spain,” Decter will talk about Sephardic migration after 1492 – to Portugal, the Ottoman Empire, Europe, and the Americas, with a focus on Eastern and Central Europe. He will discuss intellectual and economic connections across the Sephardi Diaspora, and the nature of Sephardi identity. Laby will present “Tracing Family to 13th Century Spain,” Dr. Daniel Laby will describe his quest to trace his Laby- De La Caballeria family. Using both modern (DNA) and classical methods (microfilms), he was able to follow the trail from western Massachusetts and New York’s Lower East Side all the way back to the Ottoman Empire and pre-inquisition Spain. Decter is Associate Professor and the Edmond J. Safra Professor of Sephardic Studies in the Department of Near Eastern and Judaic Studies at Brandeis University. His first book, “Iberian Jewish Literature: Between al-Andalus and Christian Europe,” received the 2007 Salo W. Baron prize for best first book in Judaic Studies. Laby is an Assistant Clinical Professor of Ophthalmology at Harvard Medical School and is a specialist in Sports Vision working with the Boston Red Sox as well as several other professional and Olympic teams. Fee: JGSGB members, free; others, $5. Click for directions. For more information about JGSGB, click here. Genetic genealogy with Emily D. Aulicino is on the program at the next meeting of the Jewish Genealogical Society of Oregon, on Tuesday, April 20. The talk begins at 7.30pm at Congregation Ahavath Achim, Portland. Doors open at 7pm for networking and assistance with genealogy questions. Genetic genealogy, the use of DNA testing to aid traditional genealogical research, is a new and accurate field for the family historian as it can prove or disprove family connections. In this information-packed program, learn the basics of DNA testing and how it helps your research. Learn about different tests and the value of each. Understand who to test and why. Find out why FamilyTreeDNA.com’s new test, Family Finder, is the next generation in DNA testing and goes beyond what previous tests could do. Aulicino will answer questions and address such issues as privacy and getting your family to participate. A $30 gift certificate toward a DNA test will be raffled at no cost to those attending the program. A retired teacher, Aulicino has researched her family’s genealogy for more than 40 years, traveling nationally and internationally for that purpose. She is a speaker and regional coordinator for the International Society of Genetic Genealogists (ISOGG), and teaches genetic genealogy at the Genealogical Forum of Oregon (Portland). She has attended five annual FamilyTreeDNA.com administrator conferences, where she spoke in 2007. In 2008, she presented at the West Coast African American Summit (Bellevue, Washington), and in 2009 and 2010, attended the London UK “Who Do You Think You Are? Live” family history fair. She administers 13 DNA projects at FamilyTreeDNA (surname, geographical and societies) and seven surname email lists on Roots Web, three genetic genealogy email lists with another that helps helps genealogists and non-genealogists write their family and personal memories. Attendees interested in testing with FamilyTreeDNA can receive discounted tests through the JGSO page. For more information on the arrangement, click here. Fee: JGSO members, free; others, $5. See the JGSO website for directions and additional information. In the wake of a Federal court’s ruling last week against a Utah company holding patents for BRCA1 and BRCA2, Tracing the Tribe has some questions. On the plus side, Tracing the Tribe believes that companies now wishing to provide lower-cost, more affordable, genetic testing will be able to do so – eventually – although legal experts believe the case will land in the Supreme Court. Note that Tracing the Tribe is not talking DNA genetic genealogy testing, but rather testing for specific genetic conditions/diseases. The questions are relevant because some patent holders charge high fees for those tests, restricting affordable access to those who may want or need those tests. (1) Should genetic testing for specific conditions/diseases be made more affordable and accessible, e.g. low-cost, to everyone? (2) Should high fees be demanded of those wishing to test – to provide financing for research on those conditions. (3) Who owns your DNA? (according to this case, it isn’t the DNA patent-holder). (4) Because this is a Jewish genealogy blog, Tracing the Tribe is well aware that when Tay-Sachs testing (a tragic, nearly fatal by age 3, neurological disease) went worldwide, the incidence of its occurrence dropped by some 98%. This was due to widespread, affordable, accessible testing across the Jewish world. There are many other genetic diseases impacting mostly those of Jewish heritage. Shouldn’t those families have affordable access to lower-cost testing? According to paper, the DNA industry is waiting to hear the reaction to the ruling . Scientists and health advocates sued Utah-based Myriad Genetics, which held patents for two genes, BRCA-1 and BRCA-2, linked to breast and ovarian cancers. The groups alleged that the patents were improper because the DNA was a natural substance in the human body. The federal judge sided with the plaintiffs, invalidating parts of the patents. Ken Alltucker’s article says that researchers and companies are interested because the ruling could impact many other genes. The ruling is critical because an estimated 20 percent of human genes have been patented. Companies launched based on those patents, with investors betting that companies could profitably develop drugs or devices targeting an individual’s unique DNA. But critics argue that such patents stymie research. Scientists often are required to get permission from the gene patent holders before using the information for research. Some companies even charge fees to use them. 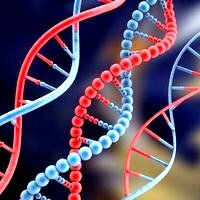 Some 20% of human genes have been patented, according to the story. Investors betted that companies could develop drugs or devices based on a unique DNA. DNA: Disease analysis or genealogy? According to a New York Times article, analyzing DNA for disease risk isn’t as popular as its providers thought it might be. There’s a big difference between those consumer segments who participate in genetic genealogy testing rather than disease analysis. Andrew Pollack’s story focused on 23&Me but also mentioned Navigenics and DeCode Genetics, in the article which discussed the lack of paying customers and small numbers of paying customers. Connected to Google by both love and money, 23andMe seems the epitome of a 21st-century company — a cutting-edge merging of biotechnology and the Internet, with a dash of celebrity thrown in. The scarce ingredient so far is customers. 23&Me is the most prominent, founded in 2007 by the wife (Anne Wojcicki) of Google’s cofounder Sergey Brin. It launched with celebrity “spit parties” to market personal genomics services. Individuals’ DNA is scanned and promises to provide the risks for developing many diseases. However, 23&Me has gone through two series of layoffs (from 70 to 40 employees). According to the story, it has only 35,000 customers and about 25% were tested for free or $25. Normally the teats run from $300-2,000. The other two companies mentioned have even fewer customer. On its third CEO in a year, Navigenics has had layoffs and now sells to doctors and corporate wellness programs instead of the public. Insiders say there are only about 20,000 customers, and 5,000 received large discounts to participate. DeCode Genetics only attracted fewer than 10,000 customers to its personal genomics service, and went through bankruptcy. Read the complete story at the link above for more.